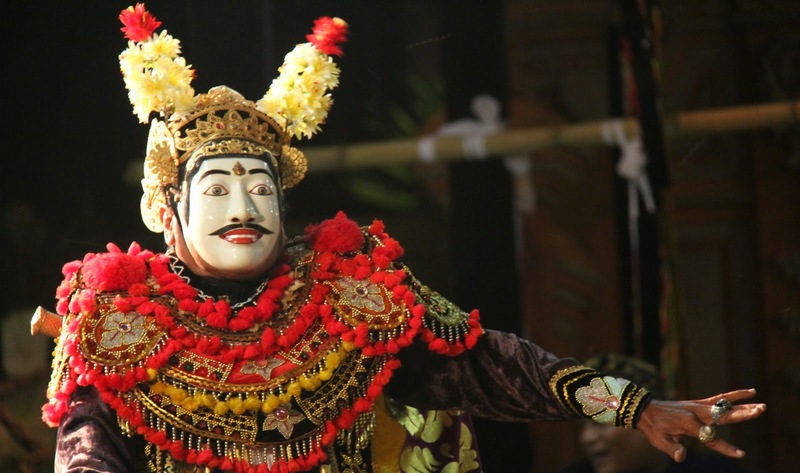 mask into the main device in the mask dance, drama dance Balinese art.in each mask dance, performers or dancers, perform with special clothing and wearing a mask. the mask used by dancers shows her character in a show. 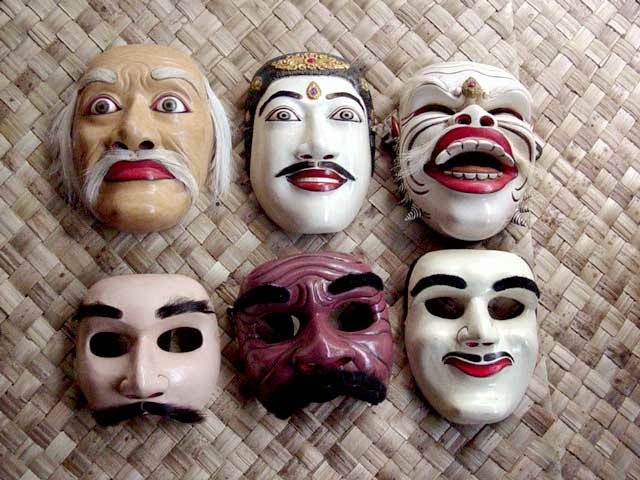 stories presented in the mask dance is usually derived from the history (chronicles ) or legends stories. based on the social strata of the play that displayed the mask can be classified into several types, namely : hard mask ( figure brawler), old mask ( figure elder), bondres mask ( figure ordinary), and queen mask ( nobility). in addition there are also a special mask such as "Calonarang mask" with ugly figure who is simbol a crime, "Jauk mask" wich is intermediate figure between human and giant, " Telek mask " almost the same with jauk mask but with a more refined figure. Balinese mask made of wood, usually using wood ylang and pulle. 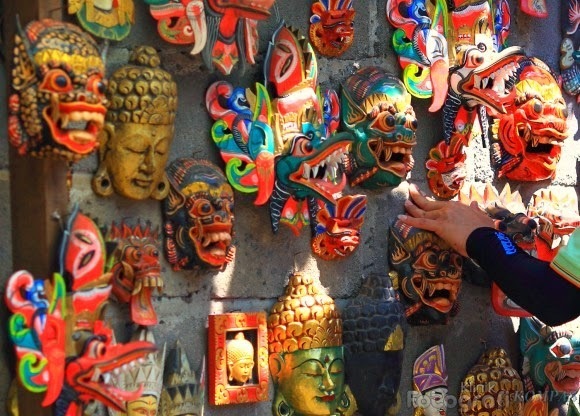 in making this Balinese mask through several stages carving into the form of perfect mask. other than that, there's a certain grip to be followed in the depiction of the nature of the significant figure the mask, it makes the mask crafters must have a specific expertise and a deep knowledge of the story and the character of the mask dance drama.